Bradley Craig was an HNN intern and a student at Harvard University. 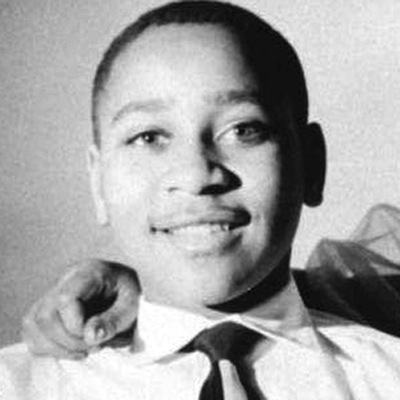 Emmett Till at the age of 14. Emmett Louis Till, who went by the nickname “Bobo,” was murdered on August 28, 1955 by Roy Bryant and his half-brother J. W. Milam near Money, Mississippi. Till was a Chicago native, but spent the summer visiting family in the Mississippi Delta. He was abducted from his uncle Moses Wright's home by Bryant and Milam. They tortured Till before killing him, dumping his body in the Tallahatchie River. The event became a catalyst for the burgeoning civil rights movement, which mobilized against the senseless violence inflicted against African Americans. Bryant and Milam went after the fourteen-year-old boy after hearing that Till flirted with his wife, Carolyn. Till and seven of his cousins visited a small grocery store owned by the Bryants on August 24, 1955. Roy Bryant was away from the store working a second job as a truck driver, so his wife and her sister-in-law Juanita Milam were running the store. Though the precise details of what followed remain uncertain, Till allegedly made suggestive comments towards Carolyn Bryant while in the store, and possibly even whistled at her and touched her hand or waist. After hearing about the incident, Bryant and Milam set out to find Till at 2:30 am on August 28. They reached the home of Moses Wright, where Till was staying for the summer, and demanded to see the young man. Bryant and Milam then took Till away, brutally tortured him, and eventually killed him. Till's disfigured body was found in the Tallahatchie River three days after he was reported missing. A jury in Sumner, Mississippi acquitted Bryant and Milam of murder in September. In November, the two were found not guilty of kidnapping. Mamie Till Mobley, Emmett's mother, notably insisted on having an open casket funeral for her son. The funeral, which was held in Chicago on September 3, was attended by thousands of people. On September 15, Jet magazine garnered national media attention by publishing what would become a famous photograph of Till's body on a funeral slab. Milam and Bryant later agreed to a confessional interview, published in 1956 by Look magazine, for which they received $4,000. Rosa Parks, the civil rights icon who refused to give up her seat on a bus in Alabama for a white passenger, attributed her own dedication to activism in part to the memory of Emmett Till. 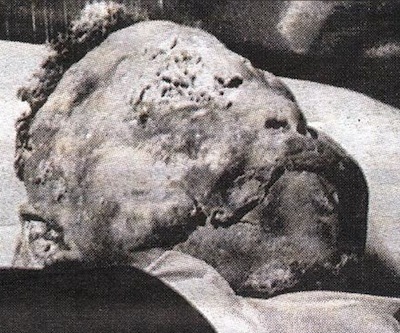 Emmett Till's disfigured face. From his open-casket funeral.